“Stunning cut flower. With their long straight stems, pretty foliage and huge dahlia-style blooms in pastel shades of pink, they are a gardeners and florists dream! They match dahlias for size and presence, yet ‘Illumination’ will provide more blooms, for a longer time, they certainly look the part in the garden. 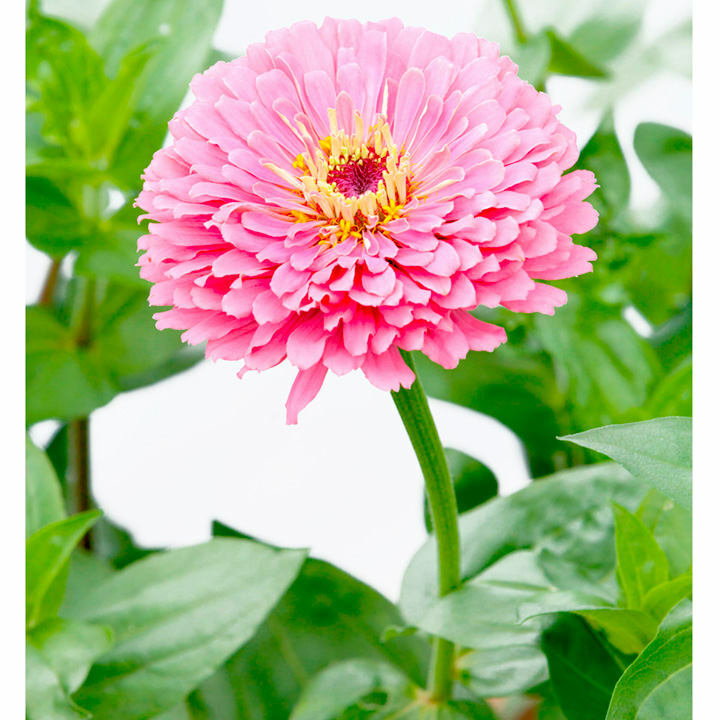 Try placing one perfect bloom in a mini milk bottle for instant chic.” Height 75cm (30”). Sow in 7.5cm (3") pots or trays, 0.5cm (½") deep in March-May in a propagator at 20-25°C (68-77°C), or a clear plastic bag on a sunny windowsill. Once germinated (14-28 days), take the lid off, or remove the bag. Can be direct sown in May-June, into weed-free, warm soil. Do not over water, or water foliage as plants can suffer from botrytis if too wet. Final spacing should be 30cm (12"). Zinnia hate root disturbance, so if growing in pots, be very careful when planting out. Ideal for beds and borders. Suitable for cutting.